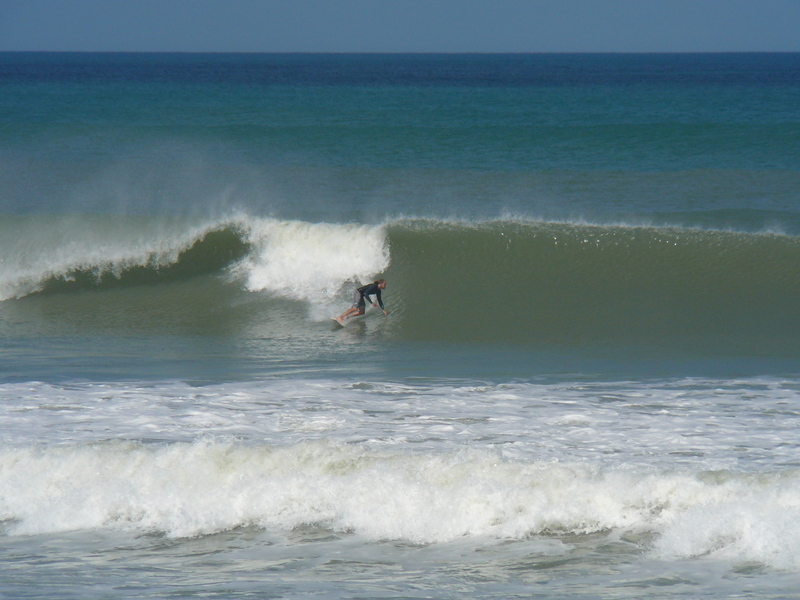 We may have a chest high plus and glassy day between Monday and Wednesday, so watch the wind charts, or check back here. Sunday morning should be the day! Saturday was a dissapointment, except maybe for folks at the pier. But there was still some 50 yard rides for all, in other North breaks. 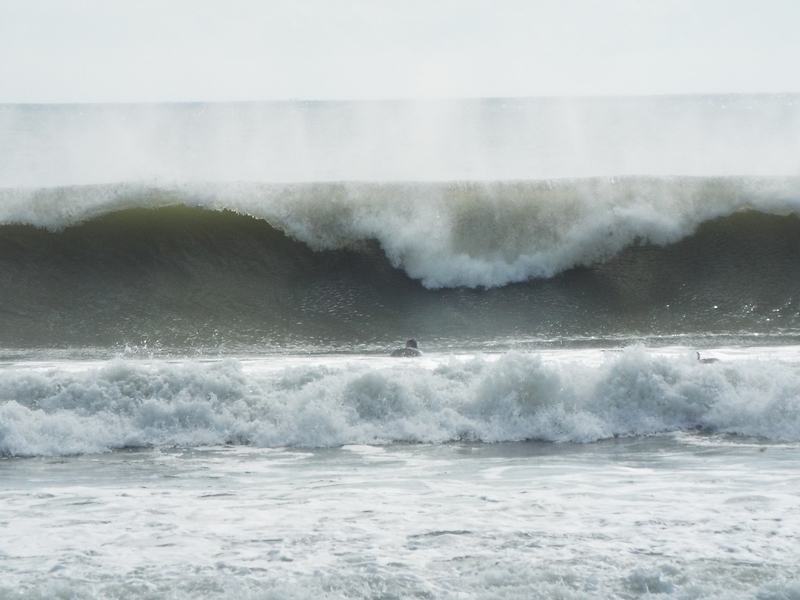 The problem was caused by a secondary swell, that was aiming North to South from 3 am Saturday till maybe 3 Pm , a swell that was 3.5 feet at @ 6 seconds. So that was putting the bump in the middle of the swell in the morning , more noticeable down south, but took the juice out of much of the swell even up North. Here’s a video compilation of Big Wednesday of Ida, with a nice soundtrack by Guerilla Jazz, called “One Day We’ll Be gone”, they are from Maui, Hi. Sunday , the Hurricane Joaquin has dropped a little in size models, and now it also looks like the “size” arrives at it’s Peak, by around Noon to maybe 2:30 Pm or so. We have a secondary swell, but a very minimal one pointing south again, but I don’t think it will cause much issue, not like today anyhow. We do have West winds at the 120 buoy, so that could hold back some of the swell. I think we can look for Shoulder high plus at the Pier, with some bigger sets, and Satellite Beach should see some 10 foot rogue sets, with a lot of 6-9 foot sets. The winds shoudl be WNW at daybreck around 8 to 10 mph, switching to West down to around 6 to 8 mph. Monday and Tuesday look big and fun also. Enjoy, and watch out for the bait fish predators! Will we see some of Ida hit this afternoon? I believe so. It officially hit the 120 buoy at around 4 feet @ 1 1 seconds at 10 AM this morning, and hit 6.6 ft @ 13 seconds at 2:50 PM at the 120 mile buoy! So It should hit the 20 mile buoy partial I hope at the 3:50 PM reading. Hopefully over 4 feet at 12 seconds. Why do I care? Because, I would like it to hit something at our beaches before 6 pm so we can get a taste of the storm tonight. Monday morning it will be chest to head high with light onshore winds. 5% chance of offshores for one hour early, but most likely 2-6 mph easterly in some fashion. 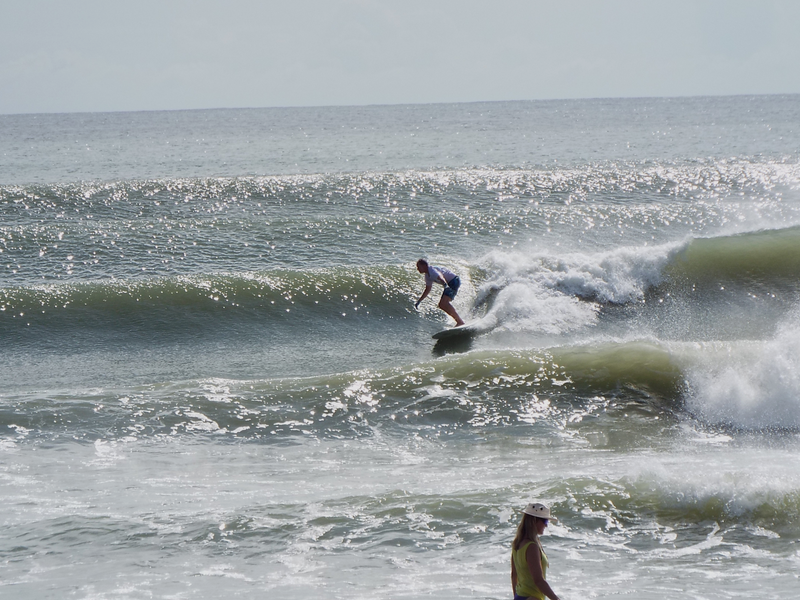 Tuesday, it will be slight offshore in South CCB and Satellite Beach (meaning south winds), but by late afternoon Tuesday, it could be 4-6 foot swells, or 4 to 7 foot faces on the biggest sets, with a sneaker big one, in Satellite Beach and glassy close to dark and maybe glassy as early as 2 or 3 pm. The swell angle isn’t too step NE, so it should be waist high at least at the Cape by Tuesday afternoon/eveving. NOTE: THE WINDS ARE SHOWING SW for Tuesday late afternoon/evening, which is full offshore down south, and sideshore or slight offshore at the Cape. SW is offshore at the Cape but SSW is sideshore. 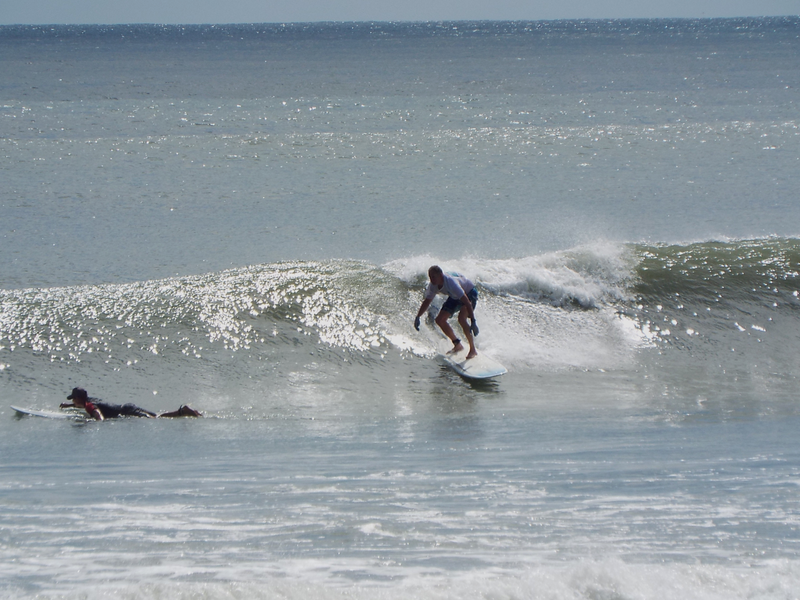 And there is waves all week, and a new big swell coming in next weekend! Be safe, and be balsy! 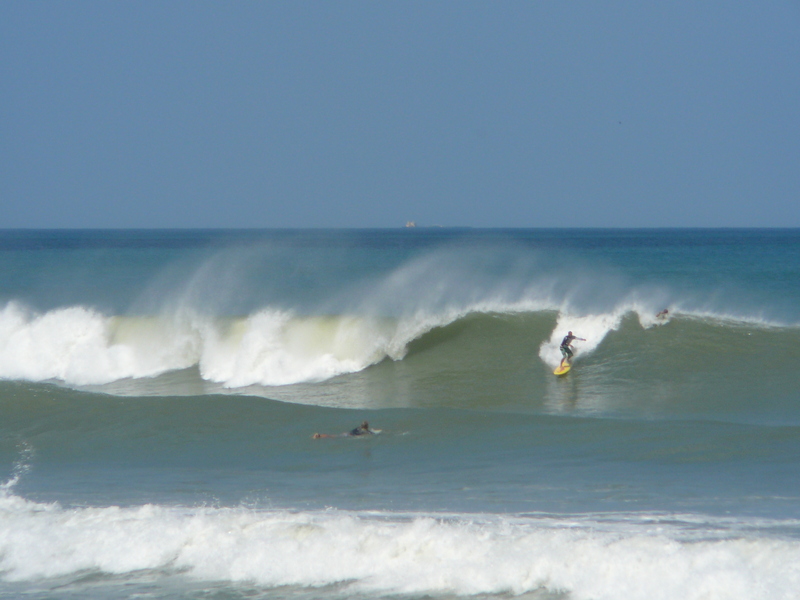 What can we expect for surf on Wednesday, Thurs and Friday? Now, it looks like our NE steep angled swell, could hit our Pier (the Cape will be blocked out Wednesday AM probably and for half the size on Thursday), by as early as 6-9 AM Wednesday morning it could land on our beaches. 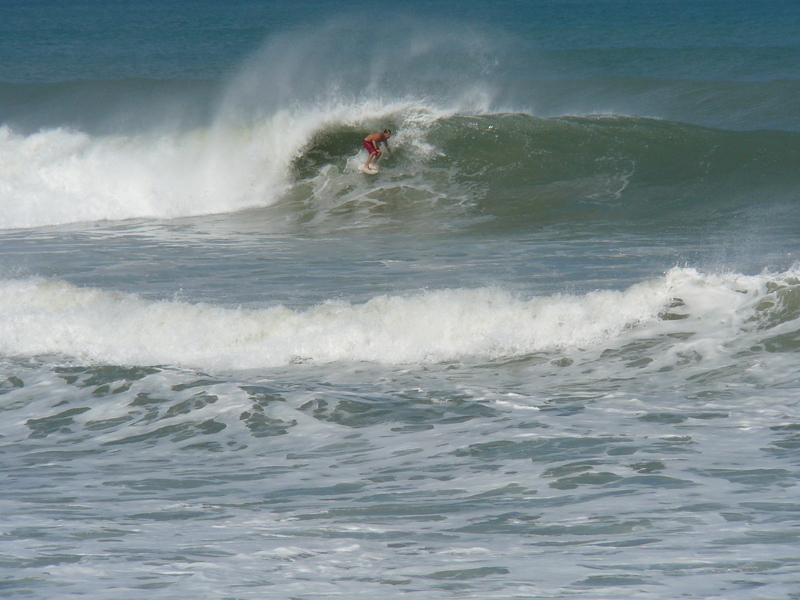 So Wednesday, with a prayer, could be waist high at the Pier, and waist plus in Satellite, with NW winds.